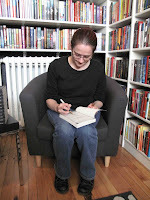 Author Eliza Nolan: Indies First is Saturday the 26th! Indies First is Saturday the 26th! Saturday the 26th from 12-1 pm I'll be at Addendum Books with other local authors to celebrate Indies First. Stop by and talk books with me! !